Stop wasting money on platforms that overcharge you for basic landing pages. 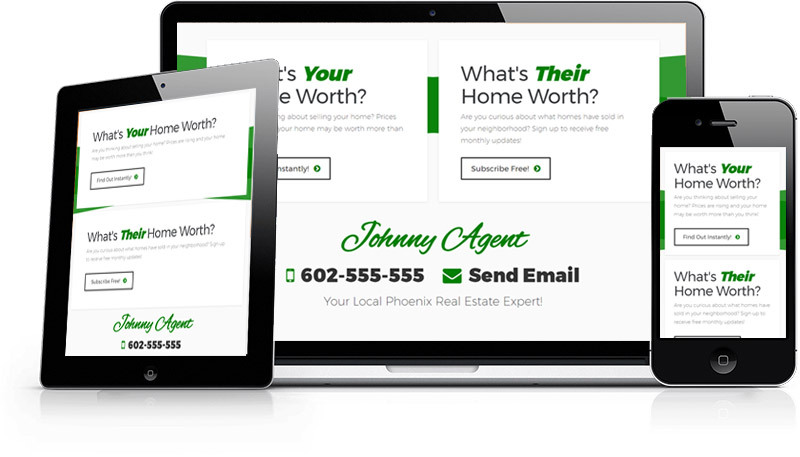 We deliver automated home valuations and recently sold home alerts landing pages that convert right out of the box, for you guessed it, FREE. Be up and running in less than a day in most cases. Your home page is comprised of 2 CTAs(call to actions) to drive your visitors to your landing pages. It's simple, it's customizable with your name, logo, phone, email and unlimited color options to match your brand. 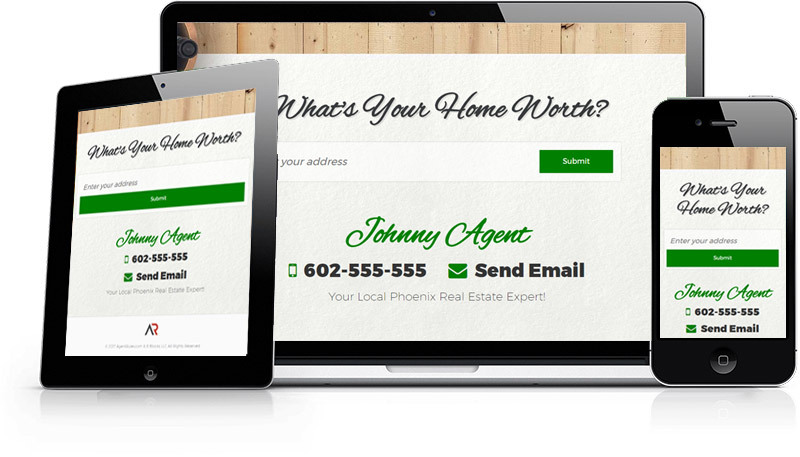 Your first of 2 landing pages is your instant home valuation page. Deliver your customers a professional, high converting page loaded with industry leading data and get a lead in return, it doesn't get much easier. 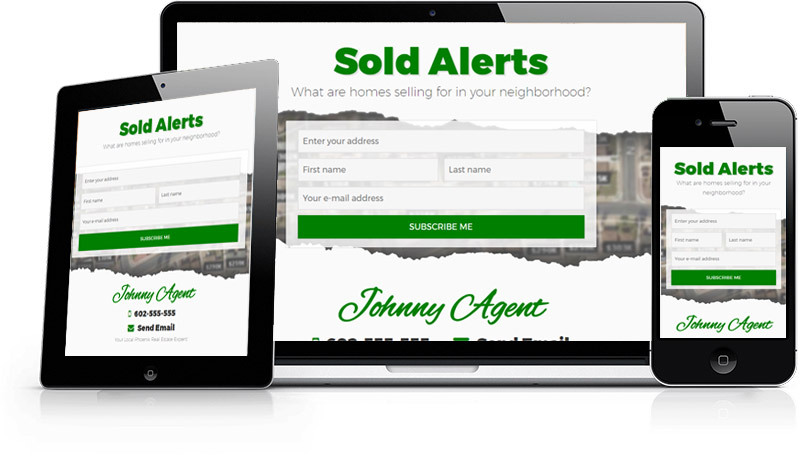 Your second landing page provides monthly sold alerts to your customers. They enter their address, get an instant list of recently sold homes in their area and again every 30 days thereafter, pretty sweet eh? Need some help generating leads? Not a problem, simply choose one of our packages below and we'll start filling up your inbox! After a quick 30 minute training you will be ready and able to manage and build these websites for existing and perspective agents in less than a minute, absolutely 0 tech expertise required. Provide real value to your agent partners, become a resource they rely on to grow their business and see all leads that come through the system. Build lasting relationships, help your agents grow their business and start more conversations with Agent Rules.